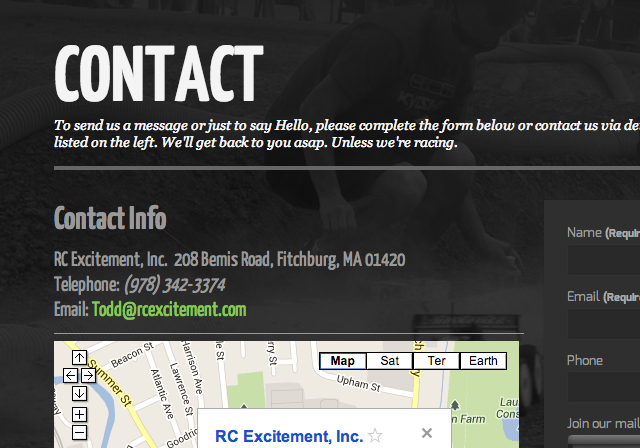 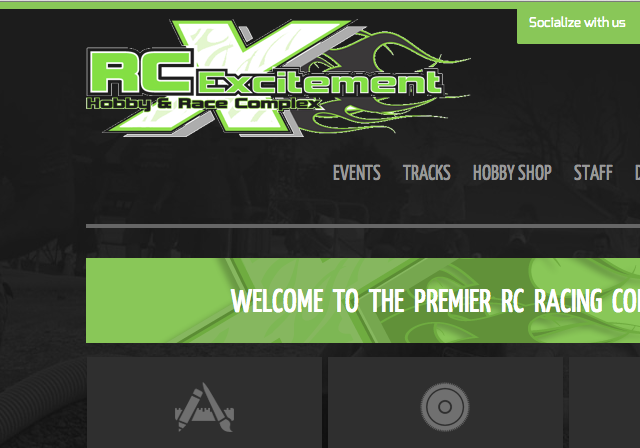 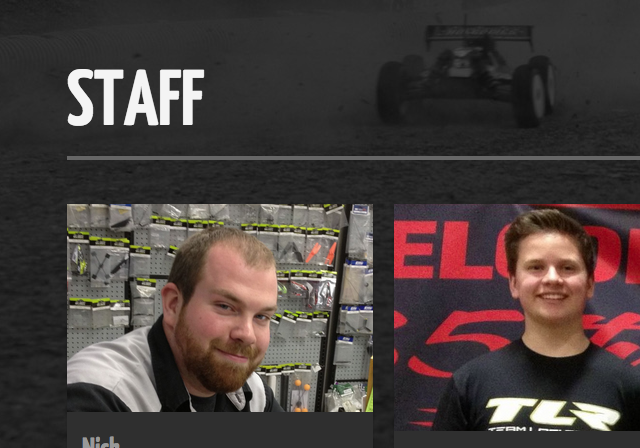 The leader in radio-controlled sports in New England, RC Excitement’s new ‘front page’ style website represents the newest in responsive website design. 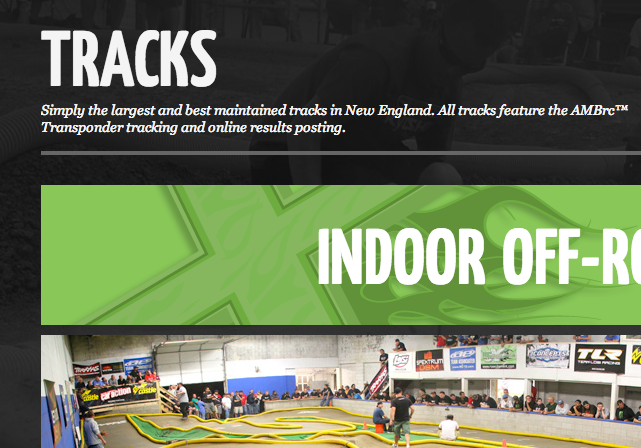 Their new site shows all pertinent information on the front page in a single scrolling experience that is optimized for any computer, smartphone or tablet that views it. 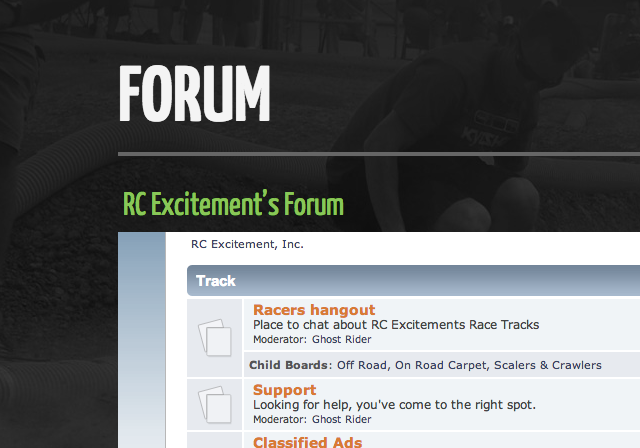 Developed on the rock-solid WordPress™ website platform, security and search engine optimization is riding shotgun while allowing the staff to update the race schedule, blog and content via the website’s content management system. 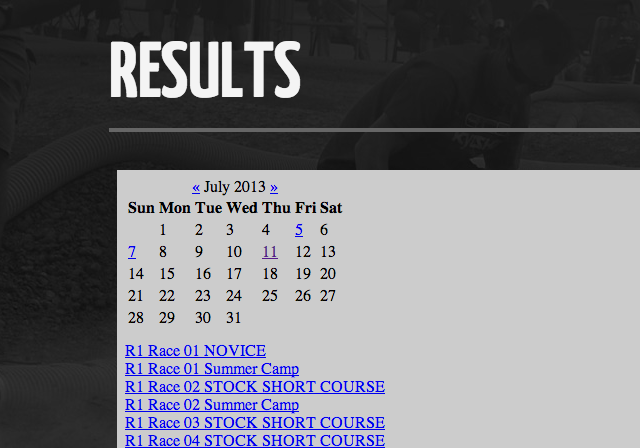 Also has custom php race result integration courtesy of AMB RC’s software.